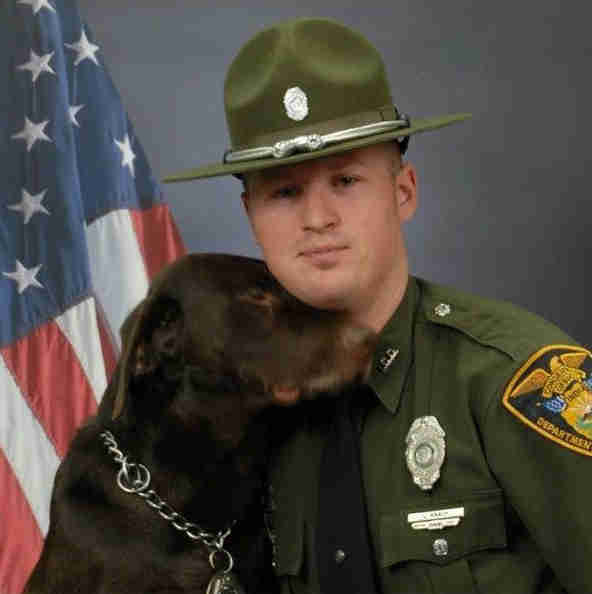 When you truly love somebody, there's no sense in trying to hide it - just ask Kenobi the K-9 and his faithful human partner, Conservation Officer Levi Knach. 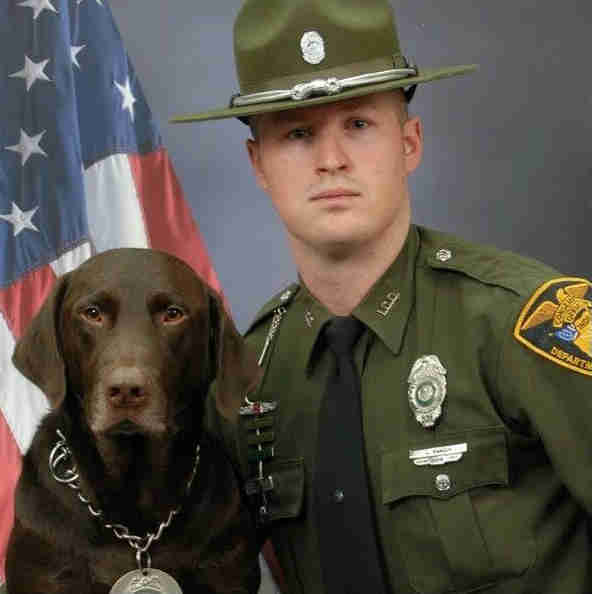 As members of Indiana's Department of Natural Resources (DNR) law enforcement agency, the pair recently sat for their official portrait photo shoot together. The results are simply adorable. While Knach appears to be trying his best to strike an appropriately stoic and professional pose at first, Kenobi evidently had other ideas. Moments later, it seems, Knach was able to regain his composure and adjust his hat. Kenobi, meanwhile, just kept on with the kisses. In the end, Kenobi did manage to restrain affection - at least long enough for a straight-faced portrait of the pair to be snapped. We know the truth, though. 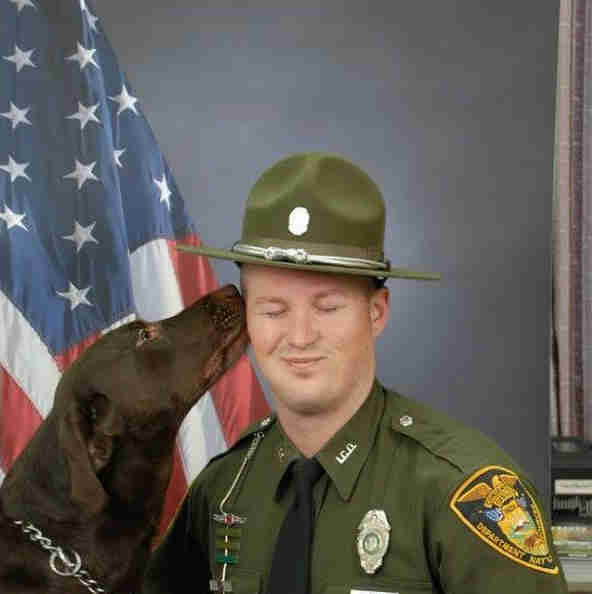 It's easy to see why these snapshots are going viral - but behind them is a partnership built on love, loyalty and trust, all to the benefit of the region they serve, in Indiana's DNR Law Enforcement District 2. 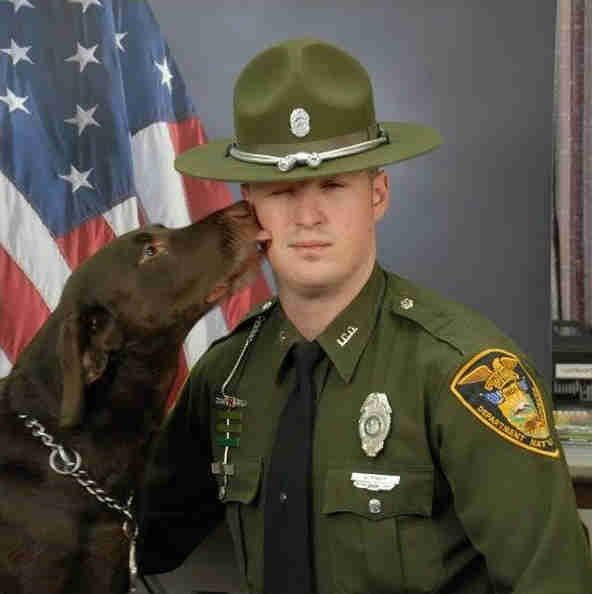 "[Officer Knach] and Kenobi constantly train for the unfortunate situations of locating missing persons, locating evidence from criminal activity, and detecting illegally taken wildlife," DNR Corporal Rodney Clear told The Dodo. "He is a true example of a leader and servant." 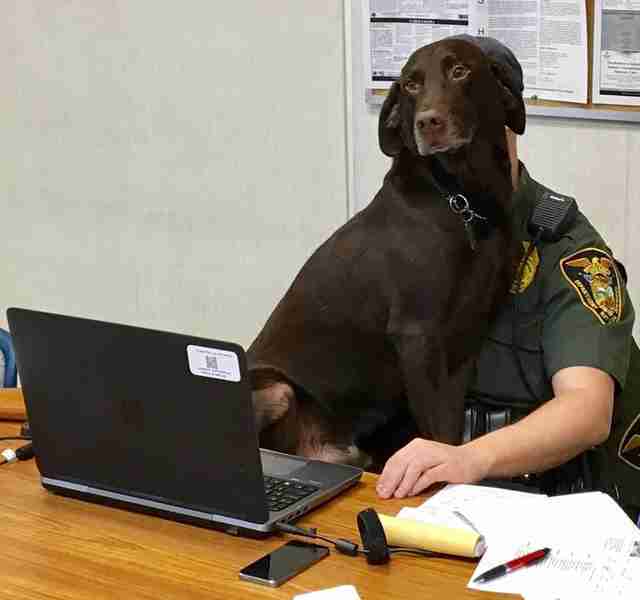 And we're happy to see that, even when on desk duty, Knach and Kenobi are inseparable.